We’re so happy you’ve started a trial and welcome you to the Method Community. You’ll find all the how-to documentation or video tutorials you’ll need here in the Help Center. 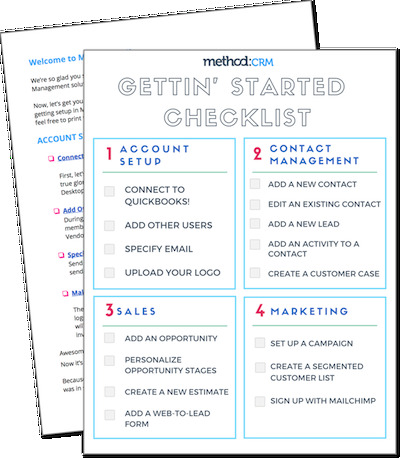 But, to ensure we get you off on the right foot during your trial, we put together an easy-to-follow Getting Started Guide & Checklist. Open the guide in your web browser to click through to the documentation or video resources for any of the checklist items. We also encourage you to print off the checklist on page 4 and check off the items as they’re completed - it’s so satisfying, trust us.